Get your Karaoke with Juanita shirts in our shop. Click here to view all the great designs and options available! Come on out and celebrate making it to half way point of your week. Hump Day Karaoke at Odies Pub. Starts at 8pm and we have half-priced burgers! Sing your heart out on stage at Brews & Cues on the Boulavard on the 1st and 3rd saturday every month! 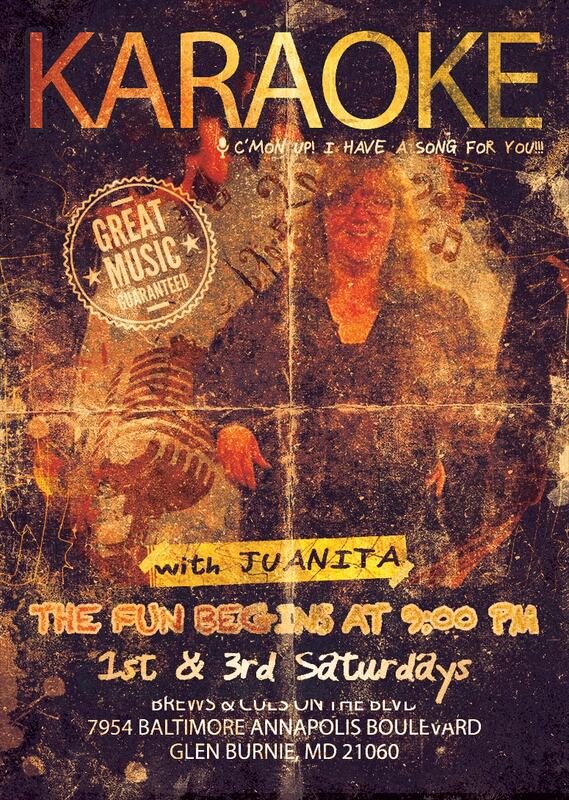 Karaoke with Juanita weekly venues! Welcome to Karaoke with Juanita. We provide weekly venues convenient to Odenton, Severn, Fort Meade, Glen Burnie, Annapolis, Severna Park, Millersville and More! All our venues are great places that Juanita provides opportunities for you to enjoy your favorite songs and sing your heart out! Click the More Info buttons above to see more details about any of our venues, see times, find directions and more. Don't be shy, come on out and enjoy. 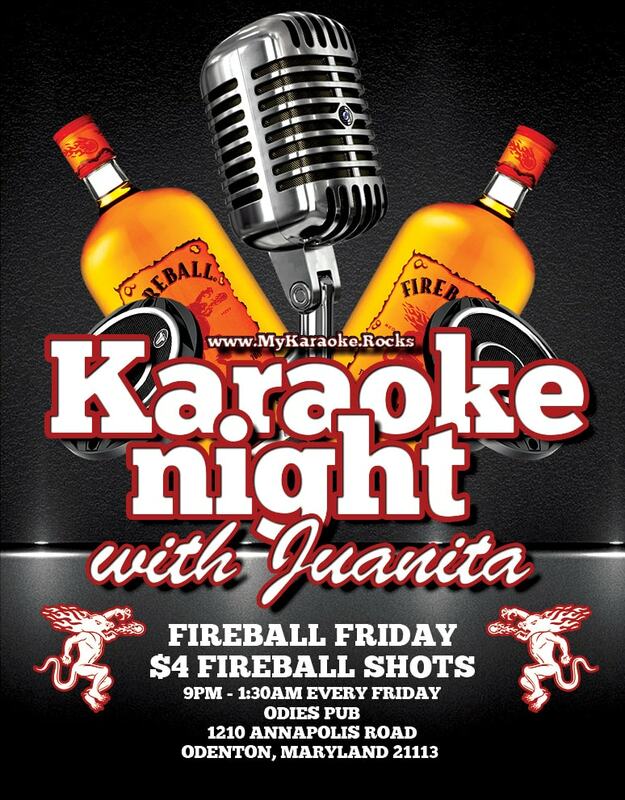 Everyone needs a cheering section from time to time and you can find yours at Karaoke with Juanita! 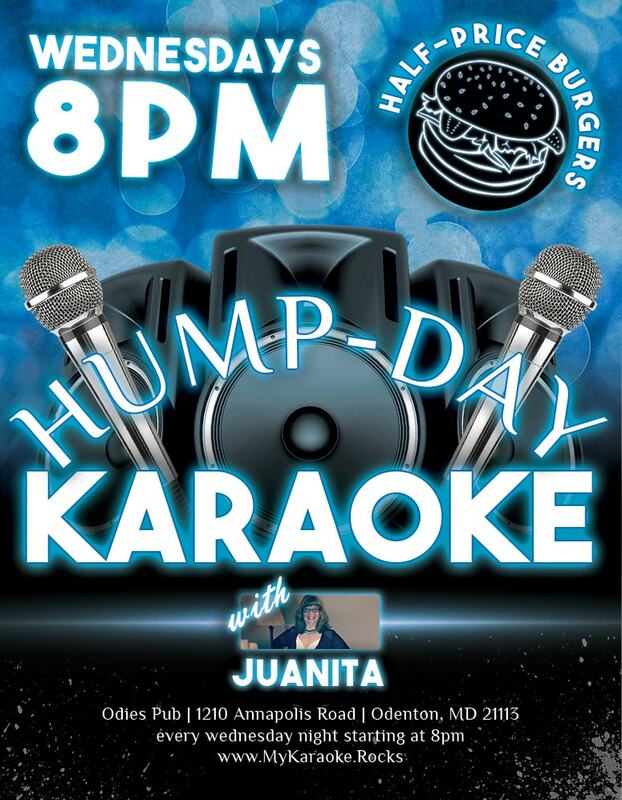 With one of the best collections of Karaoke equipment and song catalog in the area let Juanita provide the fun and entertainment at your next party or gathering. 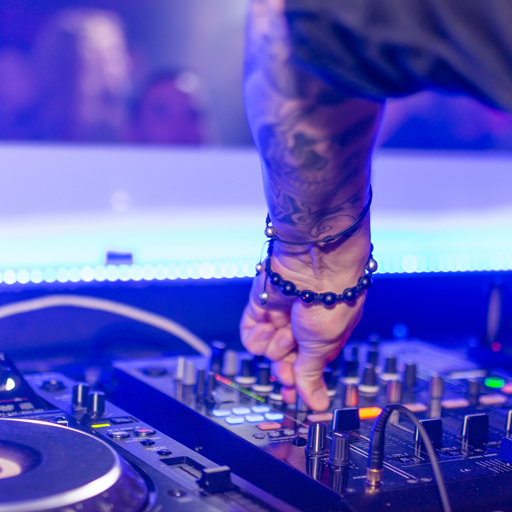 She can provide both Karaoke and DJ Services to make your next party or gathering memorable and fun! Juanita's love and appreciation of music inspires her to share it. In one-on-one private lessons let her help you to train and develop the voice you have always wanted.